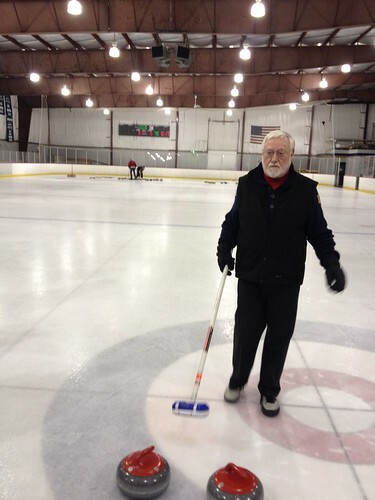 I got invited to partake in a new sport, curling. I knew nothing about it, but learned everything I needed to know from this guy in 30 minutes! 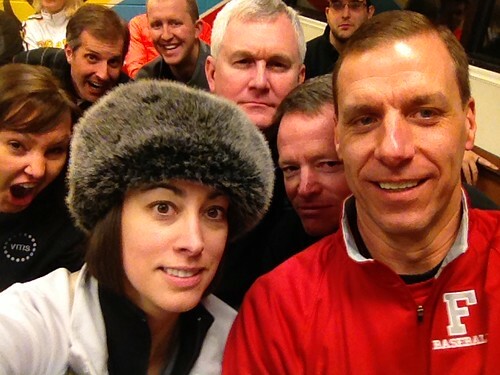 Group selfie! I tweeted it out in an “attempt” to break Twitter. I bought that hat about 7 years ago. I knew it would come in handy one day and this day, I transformed into Natasha. 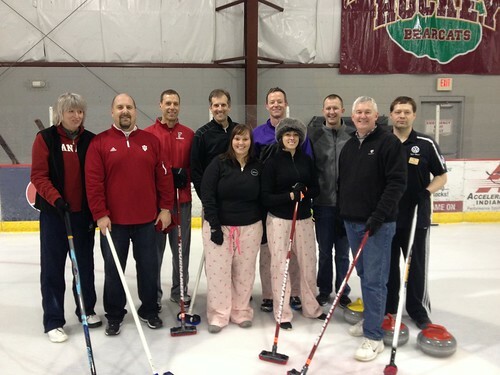 And our group of 8 was pre-divided into 2 teams, so team outfits were a must! Team Pink Pants! 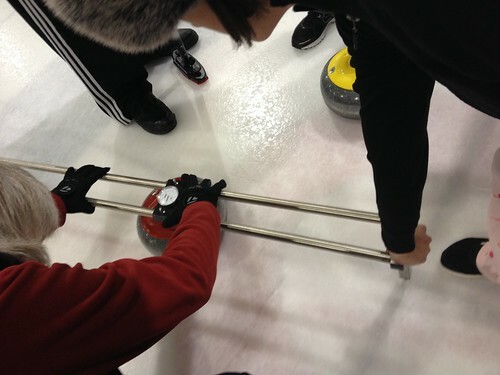 After our classroom lesson, you went right to the ice to practice. They give you training wheels instead of a broom to help you balance. At our first scoring round, we placed 5 stones in the circle. Our teachers said that was excellent for a bunch of newbies. After my team was declared closest to the center, we had to decide which stone was next. If ours, more points. If theirs, nothing. Just like bocce. Since we couldn’t visually see a difference, we got to use the judge tool. A dongle. This thing looked like some torture device. 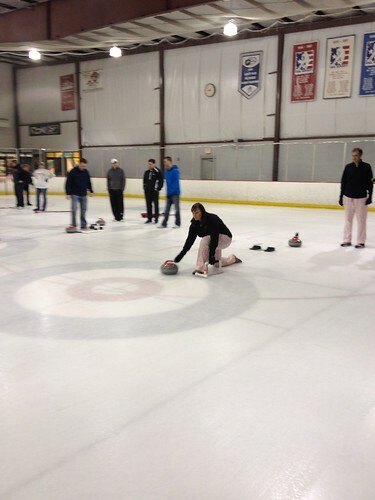 At the end of our session, Team Pink Pants won 4-0!!! Awesome experience! Totally need to buy a broom and shoes now. 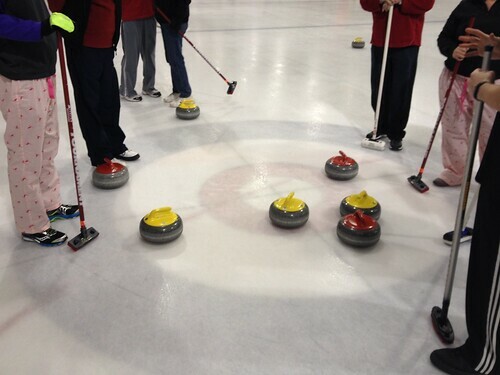 Posted on March 14, 2014 Tags Curling, Friends, Sports, WTFLeave a comment on Curl It!